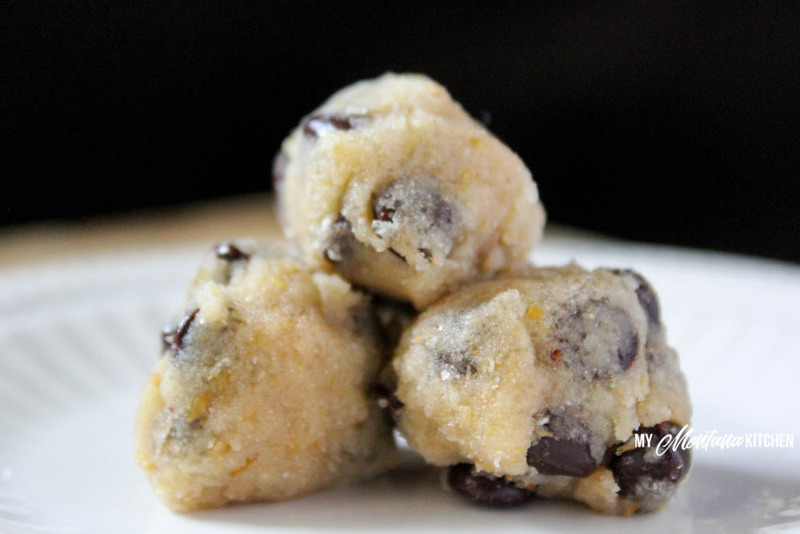 These sweet truffles taste like your favorite chocolate chip cookie dough, and they only take two minutes to mix up! This recipe is low carb, gluten free, sugar free, and a Trim Healthy Mama S Recipe. My 2 Minute Double Chocolate Truffles has been a super popular recipe. I have known for a while that I wanted to create a regular cookie dough truffle. 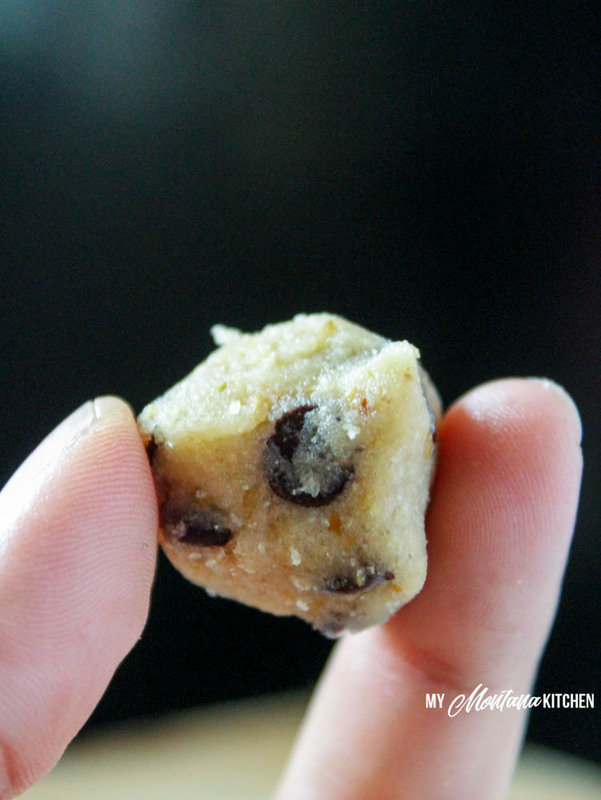 Because secretly, (ok, not so secretly) I have always loved chocolate chip cookie dough! Without sounding proud, I think I’ve accomplished both of those! My 2 year old ate these for breakfast this morning (and so did I)! Check out how easy these are to make by watching my tutorial below! This is one of those recipes to put in your arsenal for when you NEED a sweet bite! It only takes 2 minutes to make, but they satisfy that sweet craving. 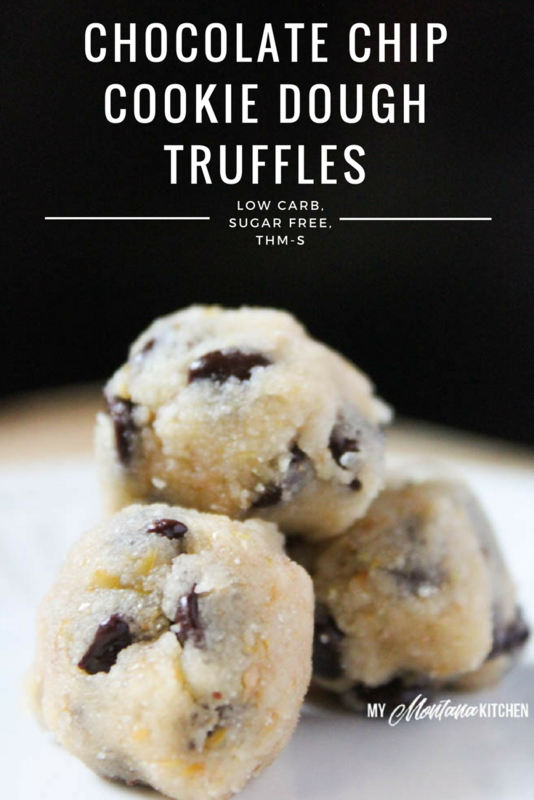 This is a single serve recipe, and you should get 2 medium size truffles, or 3 small truffles out of one serving. They are quite rich, and I find that I don’t need more than that. And no worries . . . no raw eggs here to make you worry! Place all ingredients in a small bowl, and mix well with a fork. Shape into truffles (or just eat with a spoon)! Just made these & YUM! Wow, these are good! 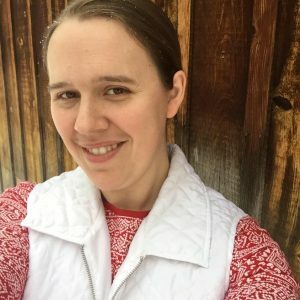 Love ‘em! Hopefully some day, but no definite date, yet! !